Some of the floral and herbal aromatics in Giniper White. A Specialty White IPA with New World hops and juniper berries providing the piney/resin backbone. Golden yellow in color, slightly hazy from malted wheat. Clean malts and restrained bitter resinous hop backbone. The primary aromatic component is juniper berries, imparting a piney aroma and flavor and a perception of sweetness. 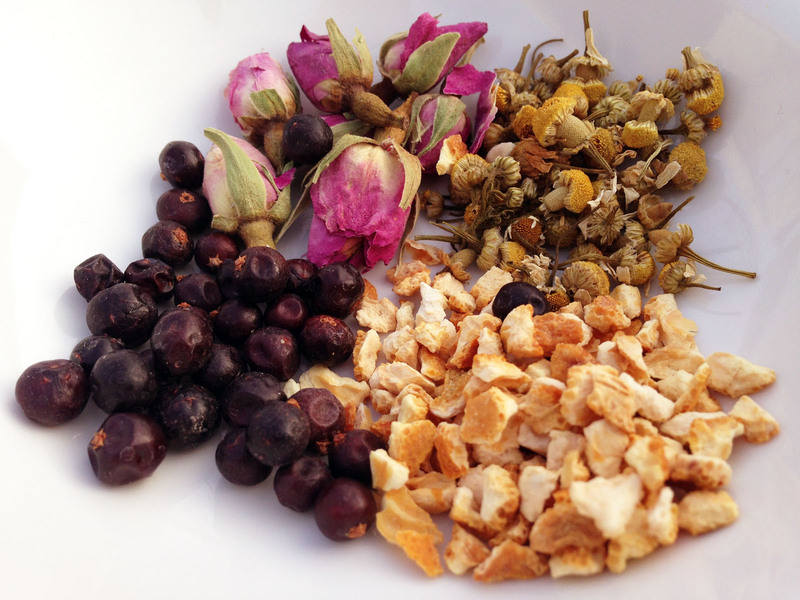 Herbal and floral aromatics - Taiwanese tea roses, German chamomile, sweet citrus sinensis, wildflower honey, and more - contribute characters similar to a fine Gin. Light body with a lingering herbal/floral finish. Giniper White is inspired by the extraordinary depth and complexity of floral and herbal characters expressed in the handcrafted Gin I enjoyed while in Spain. The concept is to start with a juniper enhanced, American White IPA backbone. Then layer in the complexities of (some very expensive) herbal and floral aromatics, and bring together a refreshing White IPA that blooms of extraordinary floral and herbal aromas and flavors. And to do it all with nuance and balance - and we did it. Your nose and palate will never have experienced a beer like this.